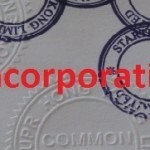 Uses of Offshore Companies I. International trading is based on the low cost production or the uniqueness of the product and selling them in another country. Most of the time trading companies are based in the free or lower tax jurisdiction in order to minimize the cost. Even the tax might be consider as a cost once the final price increases with the imported goods if your company is based in the jurisdiction with high taxation. Forming trading company in Seychelles, BVI, Singapore or Hong Kong has a several tax benefits and lower administration burden than most of the jurisdiction. – bureaucracy of keeping an accounting (raises costs). Most of the profits will be retained by the new trading company (being incorporated in the new jurisdiction) that would otherwise be lost in taxation to authorities at the original jurisdiction of the trading operation.